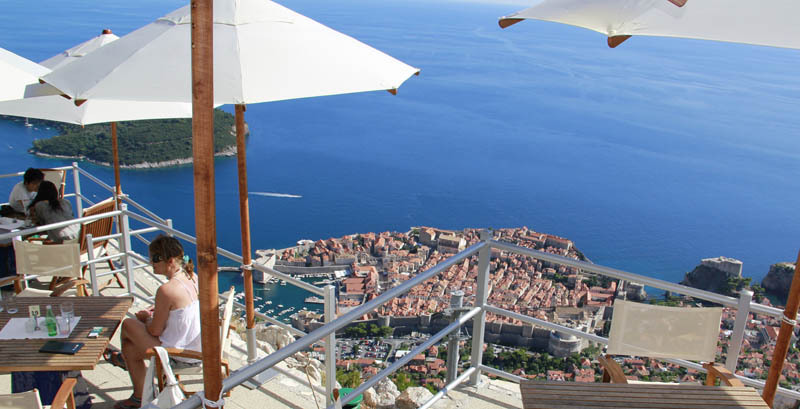 A French Perspective » Luxury travel » What are the best cocktail bars in Dubrovnik? I have just returned from an amazing week in the Pearl of the Adriatic and apart from falling in love with the people, the views, the sunsets and the historical heritage, I have absolutely loved the choice of beautiful -day and night- bars with views! 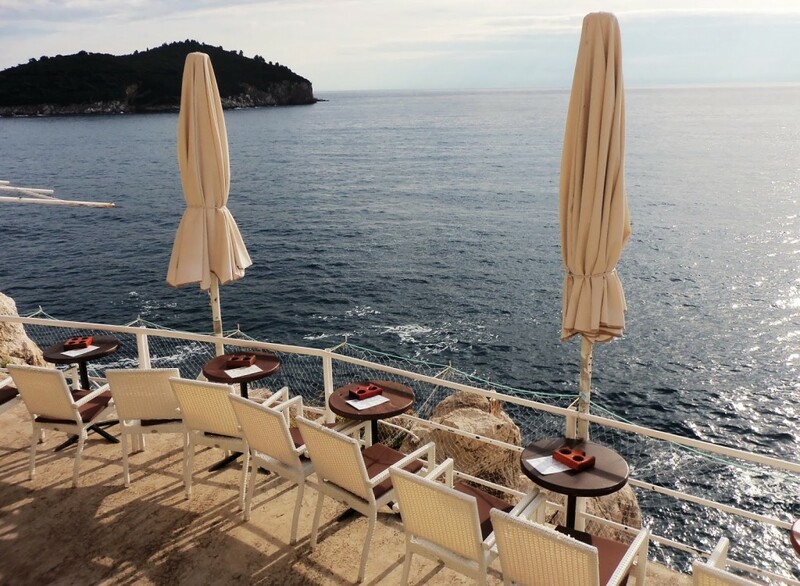 If you are planning to visit Dubrovnik or if you are already there, wondering where could you go to end up your day in style then I recommend you go through my little selection list! To me, luxury doesn’t come with price but with the wow-factor. Veuve-Cliquot or local wine both taste heaven when you are overlooking at one of the most beautiful cities in the world… Indeed, to me, exclusivity is not being seen in the hottest spot but being in a special place where you feel blessed and on top of the world.. add a glass of champagne and you will build on unforgettable memories… that is what Dubrovnik has done for me! What a delight! Especially if you are a regular rooftop addict! Stay with me to discover my secret list of the most exclusive bars & lounges in Dubrovnik, tested and approved by the locals and… myself! Tourist trap? maybe.. Not original enough? Perhaps… but these clichés won’t stop you from enjoying truly breath-taking views! I would recommend you to take the cable car just before sunset and try to grab a table at the restaurant bar, order a glass of wine (come on, what an instagram post: a glass of wine, the sunset, the views…). The seating area is rather nice, not the most luxurious in town but it is much better than any cable car’s last stop if have been to! I did not get to try the food but the menu looked nice, reasonably priced with lots to chose from! Food or not food, this is not the question! Just jump on the cable car and amaze yourself observing the sun going down on the Adriatic sea, then… the fairy tale starts with the lights of Dubrovnik by night! In summer time, the cable car runs up and down very late in the night, so you get the chose.. day or night views? Definitely a must-see and, we can now say, an icon of Dubrovnik! It used to be the best bar in town for views but I would not agree with this anymore. Sure, I loved the location: just outside the city walls and above the sea, nestled in a very unique natural set of rocks terraces. Just be aware it is a very popular spot for visitors and if you go in peak time -especially around sunset- you might not find a seat.. or even space to stand up! I enjoying having a quick drink there, but I would not recommend it if you are looking for an exceptional time as it feels touristy and the sea views are not amazing, simply cause you are not high enough above the sea. The city walls on your left can also spoil your sunset pictures, be aware of this. So, go the cafe Buzza for the experience but not if you are seeking for a special an luxurious cocktail time on the Adriatic sea! This lounge bar, located in the heart of the old town, offers the best views of the historic port and it is nestled on the ancient walls offering first class views and exclusivity at the same time. I was amazed with the outdoors seating area: chill out, classy, design and… hey! you are actually seating on top of the city walls! To add on, you will find an excellent wine & drinks menu. However, this spot is not just a bar but a very well-know gastronomic temple. So if you are looking for the most romantic or, just, luxurious evening you could combine a tasting menu with some fantastic drinks… The views from the outside seating area are definitely a must-see but if the weather is not clement, the indoors lounge bar is just as impressive so, to me 360 Dubrovnik is a winner in all aspects! 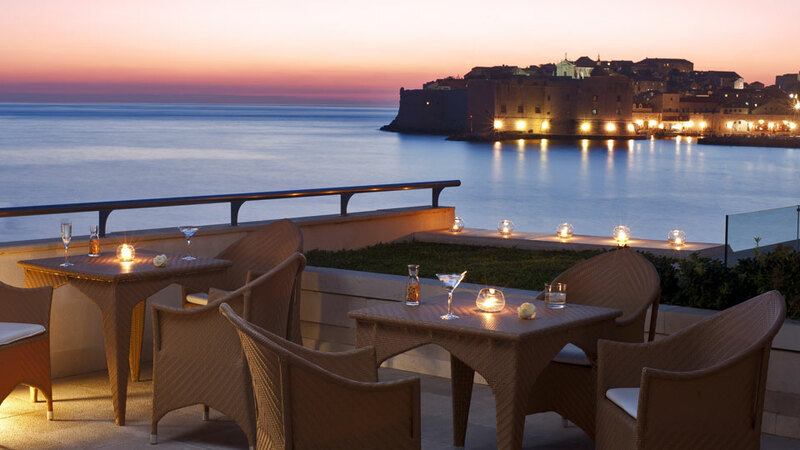 If you want to feel like a celebrity and toast under the moonlight overlooking the lights of Dubrovnik by night, the Abakus bar at the Excelsior Hotel is my personal recommendation to you. I would have never known about this lounge bar if it was not for a brochure left in my hotel room, part of the same chain of hotels. I wanted to give it a try without expecting too much,.. after all… it is just the terrace of a city hotel, right? Wrong, wrong, wrong… However, I would not advise you to go there if you are in a party mode as this hotel is very elegant, 1930’s orientated, with old-fashioned white jacket cocktail maker, so… very quiet! I loved discovering the indoors decoration as well: impressive with a real wall of fame featuring the portraits of all the celebrities that have been staying in this iconic hotel for decades! Big surprise for a 5 star hotel all-day terrace: the food is really good, varied menu, and not too expensive compared to the average prices you will find in the old town! Best kept secret in town! 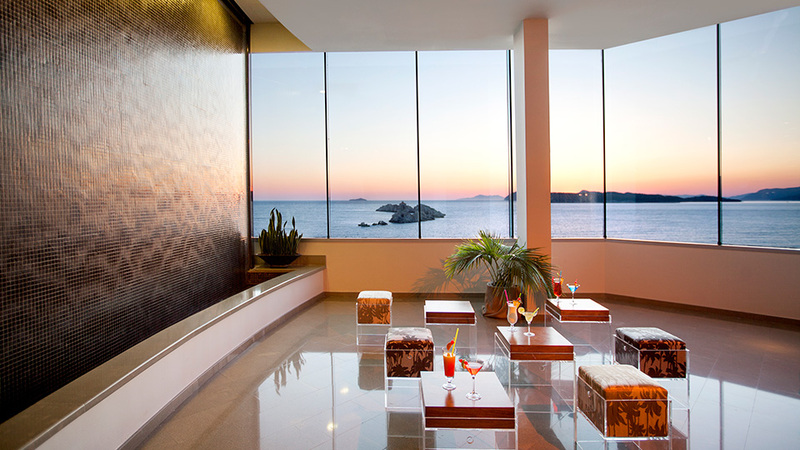 This lounge bar is located in the main area of the award-winning 5 stars hotel: the Dubrovnik Palace. 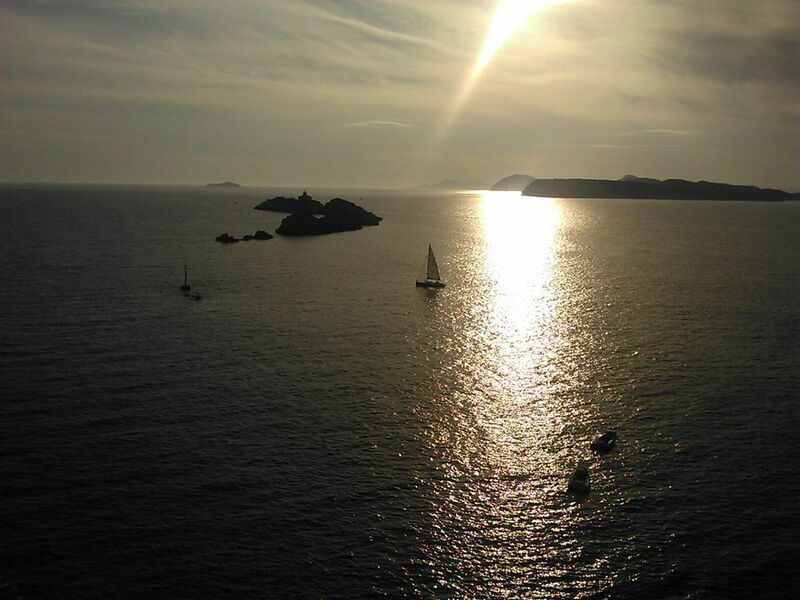 I must confess, I am truly a sunset seeker, therefore I made sure every night I was able to observe the beautiful summer sun plunging into the infinite Adriatic Sea and Elaphiti islands. 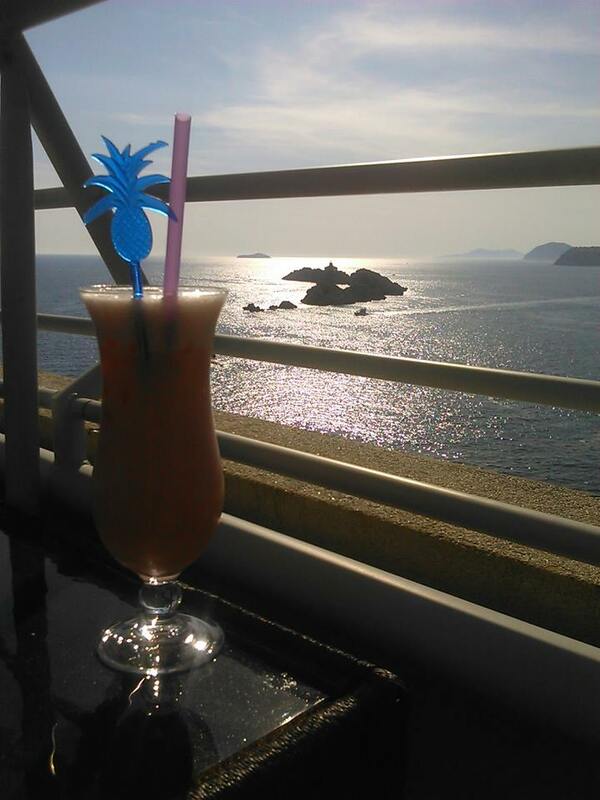 So, if you want to capture the sunset from a beautiful cocktail bar in Dubrovnik your options are: the Buzza bar (too crowded and touristy to me, especially over summer), the Panorama restaurant at the top of the cable car and the Sunset Lounge at the Palace. Bear in mind, it is not easy to catch the sunset from the old town itself, however it is stunning to witness the sun hiding behind the UNESCO picturesque town! The Sunset Lounge is unique, with unspoiled views and by being located on the 9th floor, you will be able to unwind your soul and get lost in the infinity of the sea. The cocktail menu is, like the hotel, 5 stars but prices are OK. You will find a zen-chic atmosphere: a running water cascade on the corner, delightful sunset-like light spots, design seating area.. Although this is not an outdoors bar you will have the best views in town thanks to the elevation and endless windows. This bar is also a treat as you can get there buy a quick bus ride from any city center bus stop yet you will feel isolated and miles away from the, sometimes too busy, Dubrovnik old town. Share my list and have a wonderful time in one of the most beautiful cities in the world! As we say in French when we toast: Santé! Tagged cocktail bars, Luxury Experiences, rooftops.